I have been working on facebook apps and connection with Facebook Graph API access tocken. This post will explain you how to integrate facebook connect in your website in easy way to connect and read the Facebook home timeline with PHP. Explained how to get facebook token and user id hope you like it. Thanks ! 1. Visit https://developers.facebook.com/apps and click + Create New App. The script contains two folders called oAuth and images with PHP files. Next Tutorial on Google Login. Very nice topic. It is very useful for Facebook Group API in PHP programming. Some thing is wrong in your code application working fine and returning with code. FROM WHICH PAGE WE CAN GET THE USER DEATAILS IN FACEBOOK API?? AND HOW TO POST THE USER DEATILS INTO DATABASE OR PARTICULAR PAGE??? Check code in index.php for data. I’m not worthy, I’M NOT WORTHY! Oh, great and powerful Facebook wizard, you are the first person — THE FIRST PERSON — who has actually published a functional example of a Facebook authentication chain! I’ve been struggling with this and other problems with the Facebook API for an *ENTIRE YEAR* — an entire year! I start on trying to solve the problem, and then I stop for a while, out of frustration. Can you please recommend the reference materials (books? e-books?) that you used to figure this out???? Also, please consider writing and publishing your own book on the subject. I’ll be the first to buy it! I am not getting user details however login with facebook working properly what whould be the problem…. Use exact given demo code might be you are making some mistake or edit something in it please recheck your code or paste it here. @hyipboxcom:disqus you are in list now please download code. Hi. i use your code but the content is not showing. please help me. This code is working perfect make sure that your application is not on sandbox mode make it on live mode and try again. Please debugg your code and send me exact error or paste your code here. I have found error there is a mistake in tutorial edit your config.php and add “fbTrue=true” like below. let me know if you are facing any error. For remote file access like above, consider using the cURL functions that PHP provides. if($httpCode == 200) //is ok? So sir what i have to do in this code please help me? Edit your php.ini or use cURL insted of file_open-content function. Tutorial on how to Replace file_get_contents/fopen with cURL: https://www.phpgang.com/replace-file_get_contentsfopen-with-curl_30.html. hello sir , this code is not working.its returning..http://ohchoky.com/booking2/travel/index.php?code=……. Can you provide code for logout from site..? Script is updated and below is the for log out from fb. You can also download complete code or you can check in our demo for testing. $url = ‘https://www.facebook.com/logout.php?next=’ . urlencode(‘http://demo.phpgang.com/facebook_login_graph_api/’) . it appear to have long URL after the user have logged in.. I have a problem when I refresh the page. I lost the data of fb login. Can you help me? you have to save that data to show after reload. //Fatal error: Uncaught OAuthException: An active access token must be used to query information about the current user. so where or how do I get the user email’s address? check this code in url https://developers.facebook.com/docs/php/howto/profilewithgraphapi/ and use try catch block when ever you call facebook functions. When I log in, can hide fbTrue and code from the domain address? Yes you can store data on session or cookie and redirect without url query strings. An error occurred during a connection to taurustrip com. The page you are trying to view cannot be shown because the authenticity of the received data could not be verified.Please contact the website owners to inform them of this problem. Alternatively, use the command found in the help menu to report this broken site. hi sir, this is the callback url you asked. Did i do something wrong in it? please help. Your website is not ssl supported please use http:// instead of https:// it will work properly. I now using http instead of https & script is running now but it is showing me a blank page with coming soon text on the page. i now using http instead of https as you told me & script is running now but it is showing me a blank page with text: Coming soon.. instead of logout button. You must have a hosted application it will not work properly on localhost. You have to add domain on which you are receiving request like in this image. Use exact url instead of only page name. is it possible to do the above procedure by just running the web application in localhost ?? Not possible on localhost use some host to do that. How about registering user on local db, using info provided from facebook? logout button not visible… can you help me?? everything is done but i’m still at the end . i don’t get any output..is anything a missed apart from this. turn on errors and try again you might get some error on that page. how to get friend list by this api help me..
suscribed but not downloaded why..
Hi sir … thanks for share this article, this is really helpful for me. Good job. it logins but then it only displays username & fb id , i wants to display email & logout button too. plz help me bhaijaan. This is kind of old my friend. Graph API has been updated. 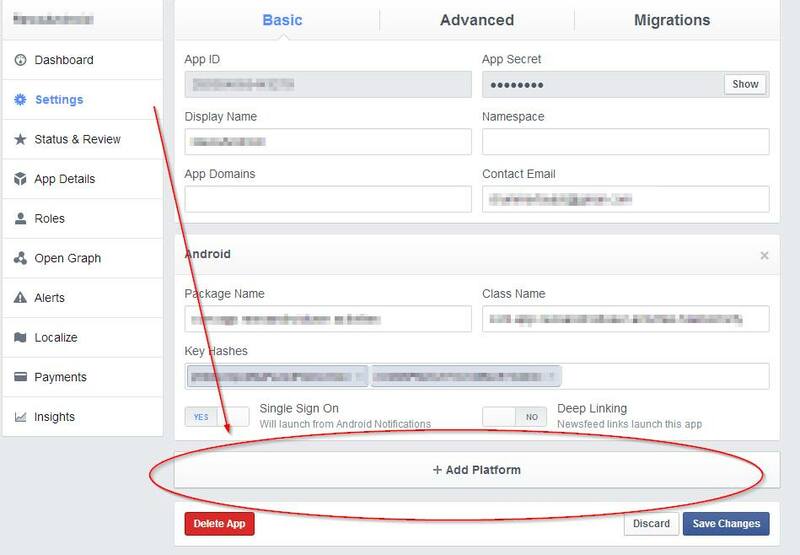 To get the email Id you will need to put it in scope parameter..
how to fix the error Given URL is not allowed by the Application configuration: One or more of the given URLs is not allowed by the App’s settings. It must match the Website URL or Canvas URL, or the domain must be a subdomain of one of the App’s domains. Its Very Simple follow below given steps. You can get email by requesting email in scope like this scope=email. Facebook not allowed to get mobile number in api. same error .any soultion for this error? i can only see the id and the name. Why can i not see the location and gender? Hahahaah have you try by decline permission. You will see error with logout button. Write better script or stop writing. If you have nothing constructive to say don’t say anything. This guy has written a good script and certainly gets you thinking. All programmers make mistakes if they didn’t we wouldn’t never see such emphasis on debugging. What URL you are sending?